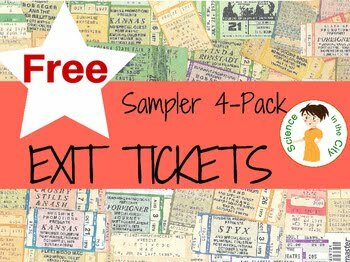 This is a set of four exit tickets, available for free. Often a lesson can really be solidified in students' heads by using some types of exit ticket. These are also great as formative assessment, to show you and the students what they really understand! These can be immediately printed and put to use in your classroom!